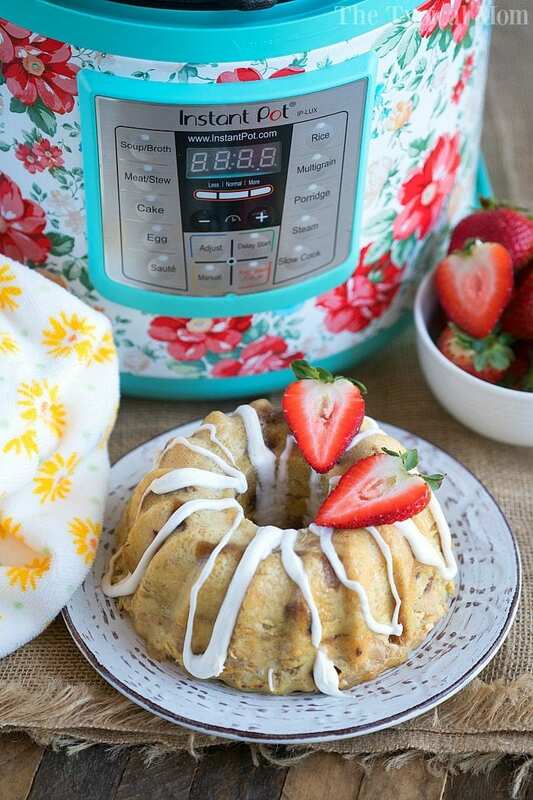 Instant Pot bread pudding is one of our favorite pressure cooker dessert recipes! 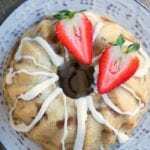 Moist and pretty in a bundt pan it will become a favorite of yours too. 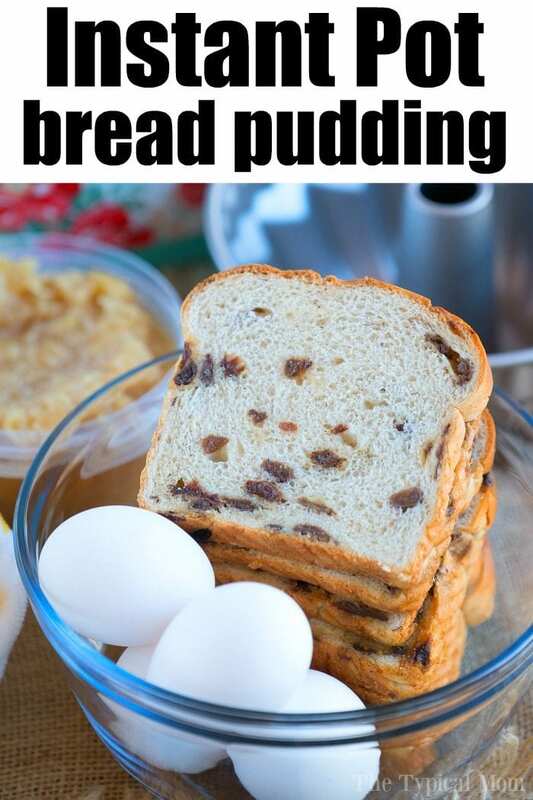 Have you made Instant Pot bread pudding yet??!! It was so good!! We had it for dessert but it would be a great brunch menu item or a treat for breakfast too. 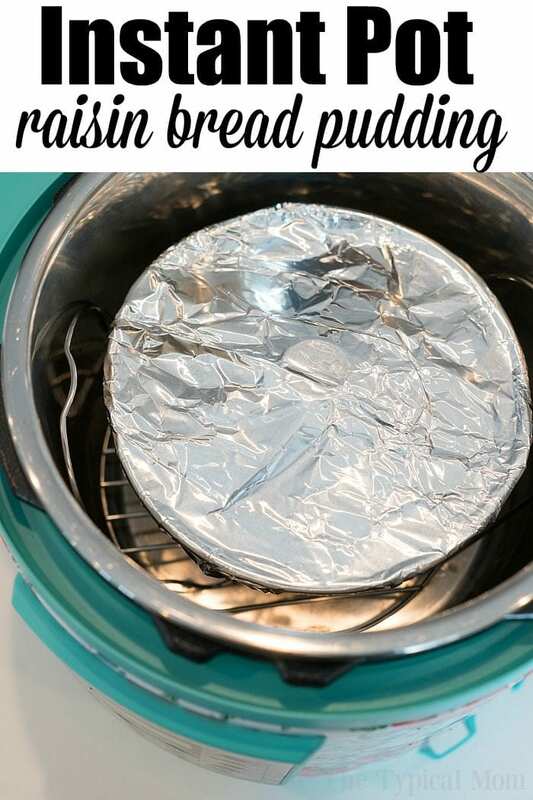 It’s definitely one of our favorite Instant Pot recipes here on The Typical Mom blog. If you’ve never “baked” in your pressure cooker it is really quite easy. 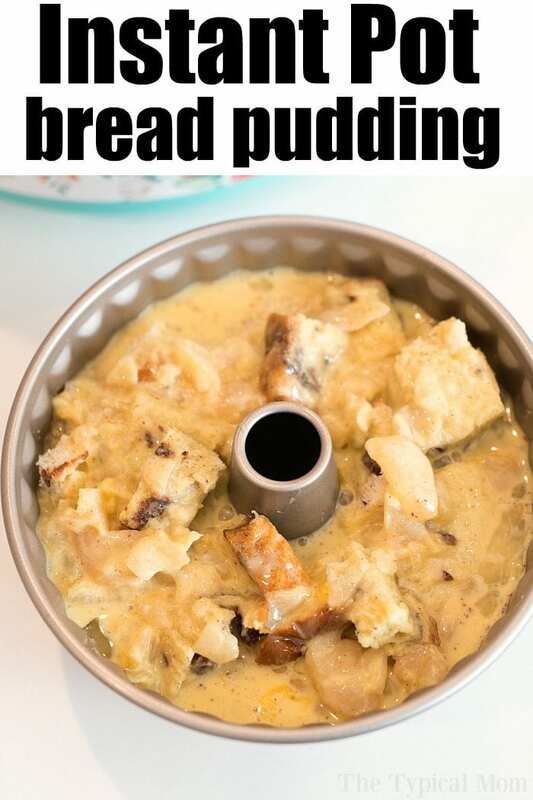 Why bake bread pudding in your Instant Pot? When it’s summertime I do NOT turn on the oven when it’s hot outside and I’m paying for my air conditioner to be on. It makes baked goods super moist! It frees up your oven for other items, perfect if you need lots of brunch menu items and they won’t all fit in your oven at the same time. This is what I used….. I will start by saying that I have made a lot of different bread pudding recipes and for each one I’ve used day old French bread…I didn’t do that this time. Instead since I was making raisin bread pudding I used a loaf of raisin bread and it worked out incredibly well! I use my pressure cooker bundt pan pretty often so you’ll get a lot of use out of it too once you grab one, it makes it really pretty too when it’s done. I allow it to cool quite a bit and pull away from the edges before gently flipping it over with a plate on top and let it slide out. If you are too anxious to eat it right away you can but I recommend at least allowing it to sit for 10 minutes or so with the foil taken off so it can solidify and not fall apart when you take it out. NO need for spraying the inside of this pan either because it is so well made with non stick coating that you’ll have no issues…that’s why I recommend this particular one. Feel free to make your own frosting to drizzle on top with powdered sugar and water but I do it the busy mom way where I just warm up some vanilla frosting and pour on top…or you can omit. Looking for more pressure cooker breakfast recipes?? Cut bread into cubes and melt butter. Pour butter into IP bundt pan (link for correct one, 7" size, above this recipe card). Sprinkle cubed bread pcs. into pan on top of butter. 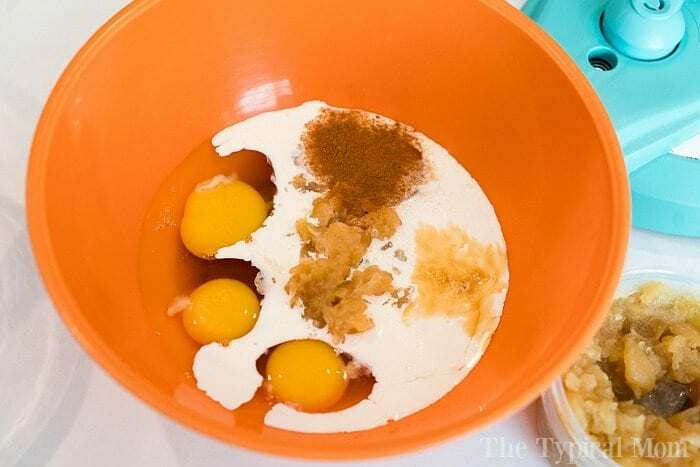 Whisk together in a bowl your eggs, syrup, whipping cream, apple sauce, cinnamon and vanilla and pour this mixture on top of your bread pieces. Pour 1.5 c of water into your Instant Pot and lower a trivet down, place your bundt pan on top of your trivet. Close your lid and steam valve and set to high pressure for 20 minutes. Do a natural release until all steam is released. Remove bundt pan and take foil off. Put pan on a cooling rack and allow to completely cool so egg can continue to cook and solidify inside the bundt pan. When cooled carefully flip over on to a plate. Slice and spoon melted vanilla frosting on the top, or ice cream. How clever! 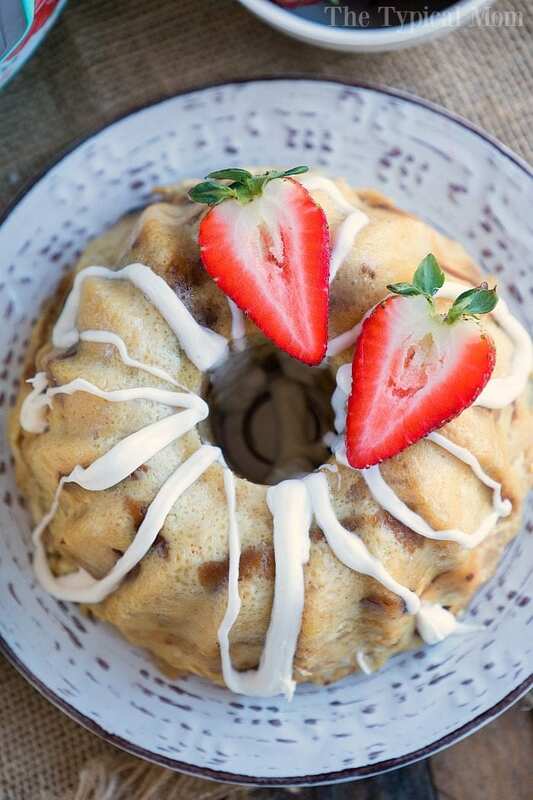 I never thought to bake a bundt cake (or bread pudding) in the instant pot before! How very clever! 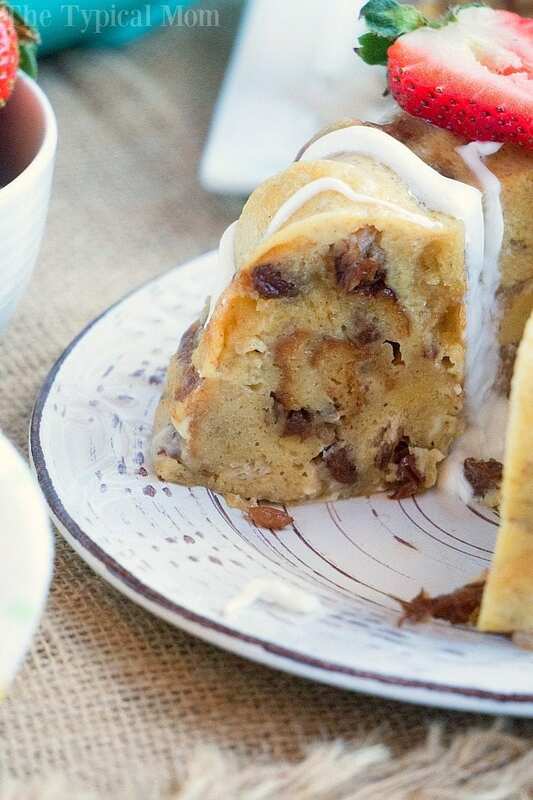 I never thought of making a bundt cake (or bread pudding) in the intantpot before! Love the idea of a moist bread pudding in one easy IP recipe!